Betty S. Beard 86, of Oak Ridge passed away Saturday, October 20, 2018 at Canterfield of Oak Ridge Assisted Living Facility. She was born September 25, 1932 in Thomasville, NC to parents Harold C. Smith and Pauline Garner Smith. She resided in Oak Ridge with her husband Bob for 69 years after moving from their home town of Thomasville, NC. She was a member of First Baptist Church where she served as a deaconess for several years. Betty graduated from University of Tennessee, Knoxville, with a B.S. in business. 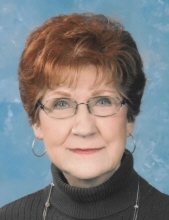 She retired from Martin Marietta, ORNL National Lab as a Human Resource Manager. In addition to her parents, she was preceded in death by husband Bob Beard; sister Arretta Sharp; and brother Max Smith. She is survived by sons Kerry Mark Beard and wife, Kay McGill Beard of Karns and Randall Smith Beard and wife, Robin Oxendine Beard of Warren NJ; brothers, Harold Smith Jr., of TX and Clinton and wife Becky Smith of NC; grandchildren Connor, Lexy and Grace of Warren, NJ and Nick Thomas of Karns, Brandi Cooper Thomas of Karns, Angela K. Gaby of Powell, and Amy Goforth, Knoxville; six great- grandchildren, one great-great grandchild and several nieces and nephews. The family would like to thank her compassionate caregivers. In lieu of flowers memorials may be made to NORD (National Organization for Rare Disorders) Vasculitis Foundation, PO Box 28660, Kansas City, MO 64188. The family will receive friends Thursday October 25, 2018 from 5-7 pm, at First Baptist Church, 1101 Oak Ridge Turnpike, Oak Ridge, TN 37830 and the funeral will follow at 7:00 pm with Dr. Rory Naeve officiating. Family and friends will meet on Friday at 9 am at Oak Ridge Memorial Park for a graveside service. Online condolences may be extended at www.weatherfordmortuary.com. To send flowers or a remembrance gift to the family of Betty Irene Beard, please visit our Tribute Store. Meet at the cemetery in the Garden of the Last Supper. "Email Address" would like to share the life celebration of Betty Irene Beard. Click on the "link" to go to share a favorite memory or leave a condolence message for the family.